Emily Keitsock, 81, of Pottsville, passed away Thursday, Jan. 31, 2019, with her loving family by her side at Seton Manor, Orwigsburg. Born in Pottsville, Jan. 14, 1938, she was a daughter of the late John and Emily Reese Menchey. 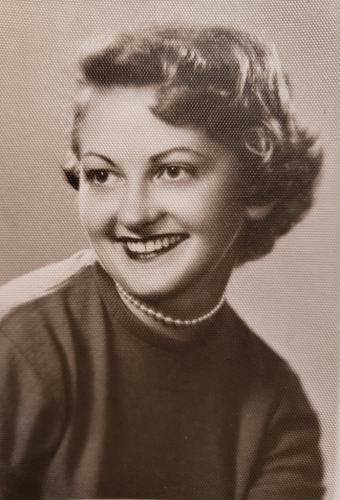 Emily was a graduate of Pottsville High School, Class of 1955. She first worked as an operator at Bell Telephone in Pottsville. She gave that job up to raise her children and then later worked for the Union Bank and Trust Co. in Pottsville until retiring. After retiring, Emily worked part time as a library aide for the Pottsville Area High School. Emily was a member of the Trinity Lutheran Church in Pottsville and a member of the Yorkville Fire Company Ladies Auxiliary. She was involved with the Pottsville School PTA and PTO, a member to the Pottsville Mother's Boosters. In addition to her parents, she was preceded in death by her husband of 56 years, Peter "Pete" Keitsock, on Aug. 1, 2014, and a grandson, Jacob Peter Friday. Emily is survived by five children, Toni Schlitzer and her husband, Christian J., Muhlenberg Township, Pamela Cicero and her husband, James, Palo Alto, Peter John Keitsock and his wife, Denise, Wayne Township, Amy Friday and her husband, Don, Annville, and Jamie Keitsock and his wife, Kandy, Port Carbon; 13 grandchildren, Taryn, Taylor and Kendra Schlitzer, Sarah, James and Jared Cicero, Chelsia Lopez, Bayne and Reese Keitsock, Donald Lewis Friday, and Lily, Leigha and Luke Keitsock; a great-grandchild, Logan Lopez; cousins, nieces and nephews. A religious service will be held at 10 a.m. Wednesday, Feb. 6, at Trinity Lutheran Church in Pottsville with the Rev. Chris Rothharpt officiating. Relatives and friends are invited to a viewing from 6 to 8 p.m. Tuesday at Robert A. Evans Jr. Funeral Home, 208 Pike St., Port Carbon, and then from 9 to 10 a.m. Wednesday at Trinity Lutheran Church in Pottsville. Interment will be held in Schuylkill Memorial Park, Schuylkill Haven. In lieu of flowers, memorial contributions may be made to Pete and Emily Keitsock Pottsville High School Scholarship Fund, c/o Pottsville Athletics, 16th St. and Elk Avenue, Pottsville, PA 17901. Emily's family would like to express their gratitude to the staff of Providence Place and Seton Manor for the outstanding care given to their mom. Please send condolences to www.robertaevansjrfh.com.